Coworking spaces are trendy among small businesses and entrepreneurs. But could they work for the medical community? Judging from the early success of Viva MedSuites, a medical coworking space that opened in Scottsdale, AZ, last month, the answer is yes. After nearly two decades in commercial real estate, John Groberg realized that the traditional options didn’t adequately meet the needs of the medical community. “Many medical professionals don’t need 2,000 ft² offices, but that’s the minimum quantity available in the commercial market,” explains Groberg. As a result, many medical professionals sublease office space to other practices just to pay their monthly rent. Groberg knew there had to be a better way. So, he opened Viva MedSuites with the goal of creating an affordable, scalable, and flexible medical workspace. 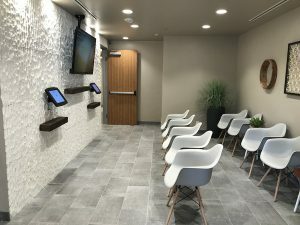 Now, doctors and other medical and wellness professionals can rent a space whenever they need it, whether that’s part-time or full-time, nights and weekends, or just temporarily during a transition. When thinking about how to structure the business, one of the big decisions Groberg had to make was whether or not to hire a receptionist. Commercial medical spaces typically have one, but Groberg notes that there are problems with this arrangement. First, doctors all have their own ways of dealing with clients, as well as their own required paperwork, and it’s not easy to find someone who makes all of the doctors happy. Second, hiring a full-time person is expensive, and since Viva MedSuites caters to many different schedules, one person likely wouldn’t be enough. “If I decided to hire a receptionist, that would change the economics of how I needed to price the spaces,” says Groberg. That’s why he started looking for a technology that could handle the patient check-in process efficiently. He tested out a handful of virtual receptionist solutions before deciding on The Receptionist for iPad. “Out of the ones I investigated, The Receptionist for iPad did the job for the best price,” Groberg says. Groberg set up two iPad kiosks in the Viva MedSuites lobby. When a patient arrives, they check in and select their doctor. Then, software automatically sends a text notification to tell the doctor that their patient is waiting. Groberg also configured the system to accept deliveries from UPS and FedEx. 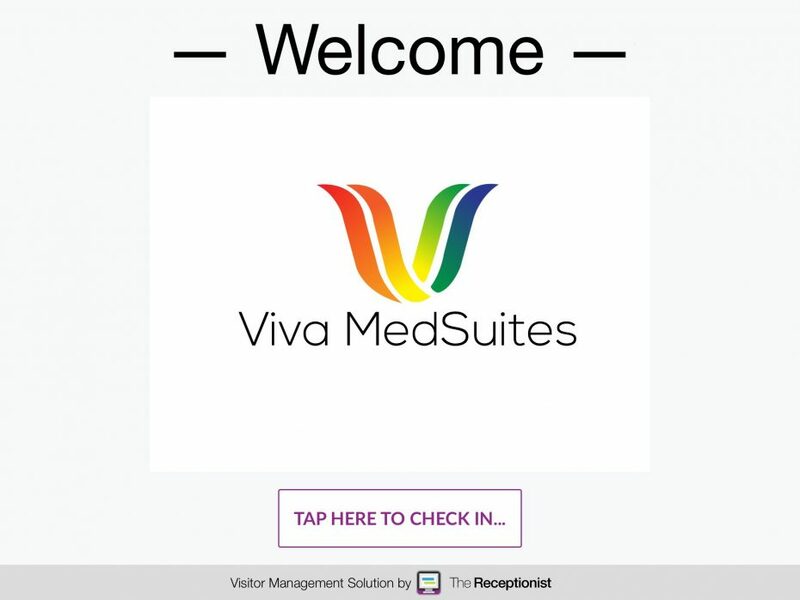 We’re happy to support Viva MedSuites and the medical community by streamlining their patient check-in process. To see how The Receptionist for iPad can help your coworking space or office, sign up for your free 14-day trial today. Viva MedSuites offers medical workspace as a service to a variety of professional medical or wellness practitioners who want to streamline their operations, reduce their real estate risk & expense, and preserve their capital.